The BIOS is the firmware responsible for booting up your PC. 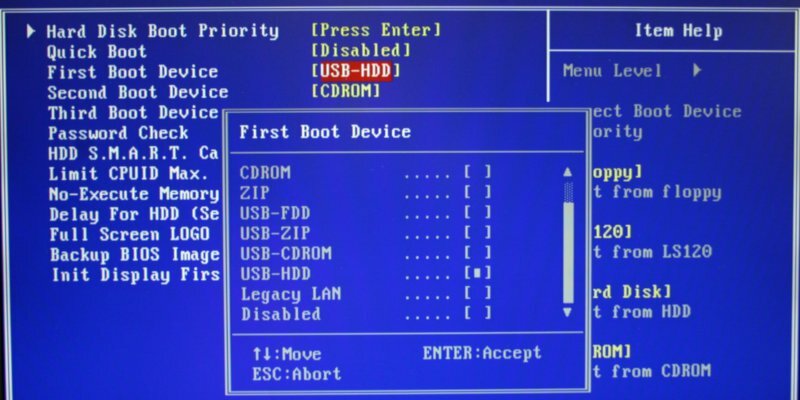 Before the operating system is loaded and takes over the computer, the BIOS checks and initializes all your hardware and bootstraps the boot process. 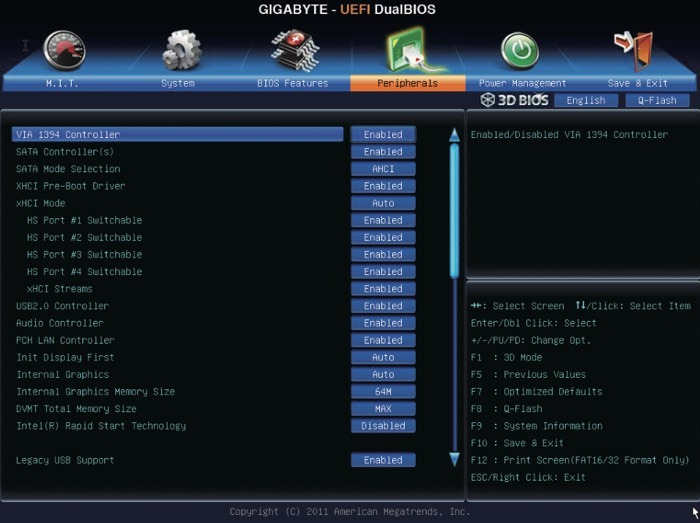 The BIOS interface allows you to tweak your machine’s hardware outside the operating system. 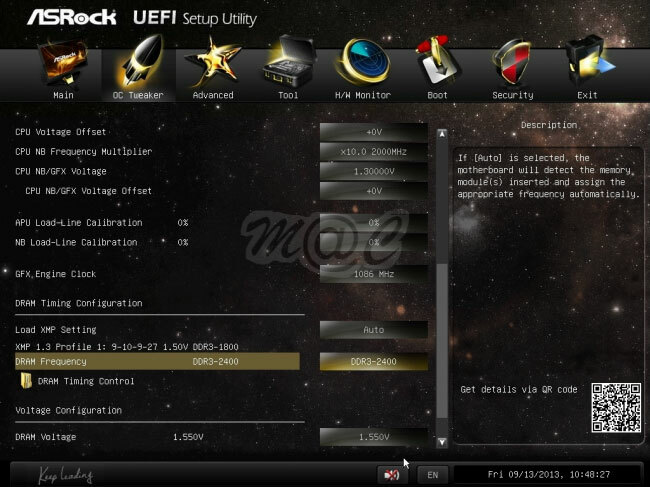 Overclockers spend a lot of time in the BIOS adjusting voltage and CPU frequency multipliers. 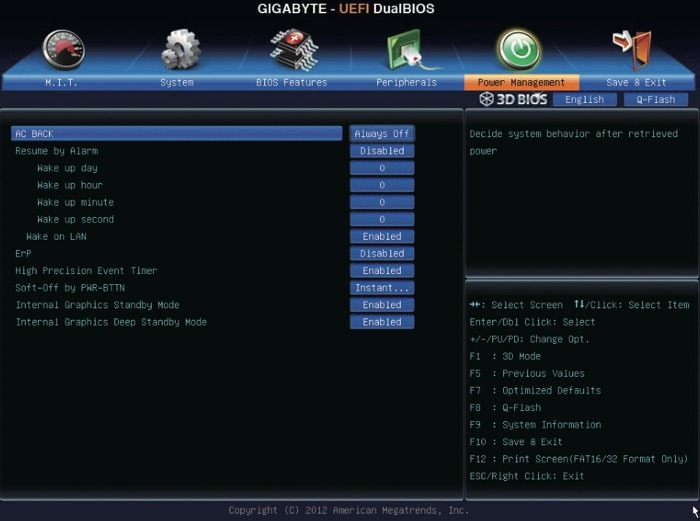 Even if you’re not an overclocker, significant system fixes often require BIOS access. 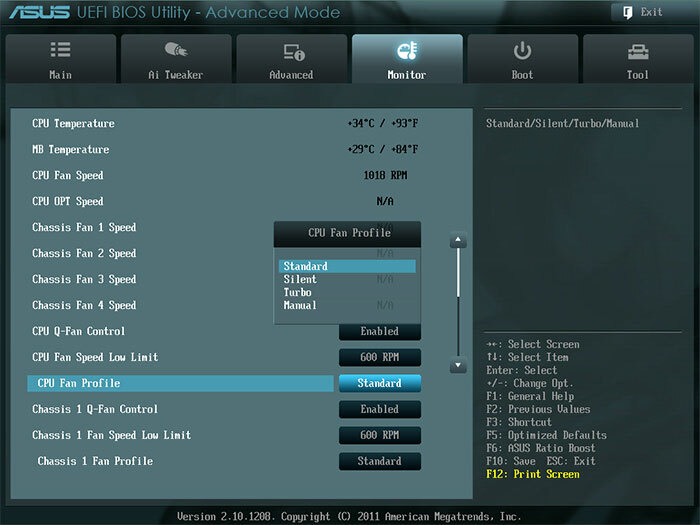 Note: throughout this guide, the term “BIOS” will be used to refer to both BIOS and UEFI. 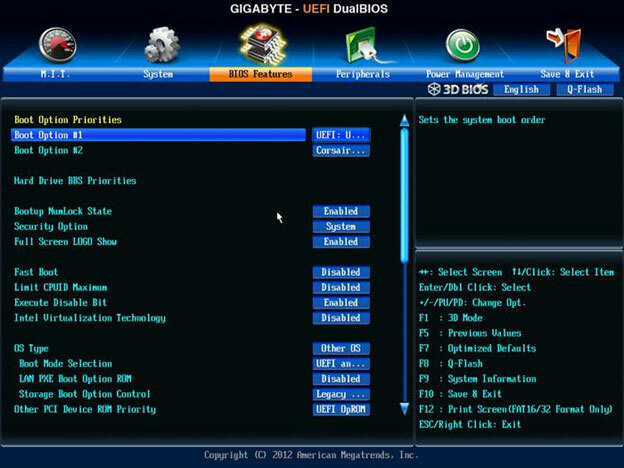 To enter the BIOS, wait until your computer beeps during boot, then press the key required to enter the BIOS or Setup, typically displayed on the BIOS boot screen (e.g. Delete, F2, F10). If you have an unlocked processor (e.g. Intel’s “K” series), these settings can change the frequency of the CPU and adjust the voltage received by the CPU. The balance between heat, voltage, frequency, and stability often requires frequent visits to the BIOS to coax the most power out of a given chip. Apart from the CPU base clock and clock multiplier, other CPU-specific options like SpeedStep and C-States are typically adjusted here. Adjusting memory timings can eke out slightly more performance from RAM. Faster RAM means faster processing, though the difference is often measured in units of time that are imperceptible to most humans. Memory timings are complex, and you’ll need to read up on them before diving in. By default, the BIOS boot order is likely disk drive, then hard drives. If your PC only has one hard drive, you likely won’t need to touch this setting. If you’re dual-booting or need to boot from a USB stick, you’ll need to manually select the device in the BIOS’ boot order section. In this screen you can often adjust other boot options, like Fast Boot, trusted platform module (TPM) settings, and keyboard settings. These settings control how devices that connect to your motherboard operate. SATA connects hard drives, solid state drives, and disk drives to your motherboard. 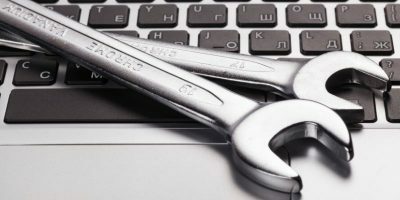 By default, SATA can detect what kind of device is connected to each SATA port and optimize the connection based on that information. Here, users can manually tweak port assignments and management systems to ensure the best results. While most operating systems now fully support USB 3.0, that was not always the case. As such, there are a number of settings on most newer motherboards for managing USB 3.0 settings. Here, you can also adjust support for legacy BIOS USB support if older devices require it. Individual chips handling USB ports and other peripheral connection ports can also be enabled or disabled in these settings. If you have multiple GPUs on your machine, the display settings can prioritize the correct GPU. 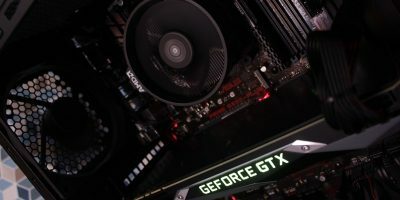 If you have a graphics card mounted in a PCI slot, you’ll typically want the BIOS to use that graphics card for the boot process. Options typically include “IGFX” for on-processor internal graphics and “PCI” for PCI-mounted graphics cards. 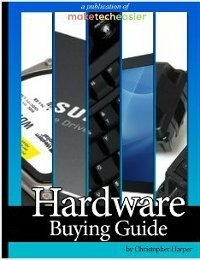 The power states of your computer are handled by the motherboard, and that decides which devices get power and how much they get. 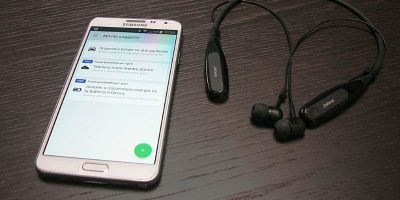 Things like hibernation and suspension are handled in the power management settings, providing specific options for what happens under different circumstances. 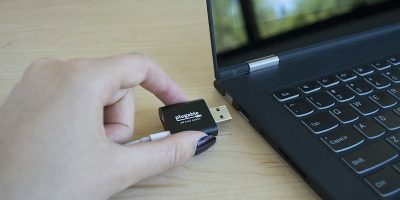 This is most important in laptops, where battery power means that detailed power management settings can be necessary. These options adjust the behavior of the computer’s power button. Options normally include instant shut down, delayed shut down, and sleep modes. If you want your PC to wake from sleep when it receives a packet from the local area network (LAN), Wake-on-LAN settings allow for that. 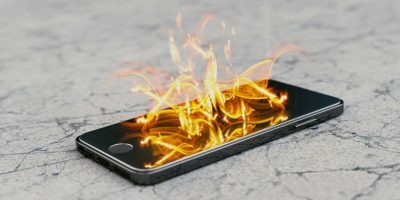 On unsupported operating systems, this can also cause boot loops, so it’s often best to turn it off unless you know you need the functionality. These options may or may not appear in your BIOS, depending on your system configuration, but they’re frequently present on higher-end consumer motherboards. If your PC has system fans with adjustable speeds, the motherboard may allow you to adjust the fan’s speed. Depending on the sophistication of the system, you may tweak fan curves in a graphical interface or select text-based presets. The universal maxim of PC troubleshooting applies here as well: if you don’t know what something is, Google the on-screen text. You’ll often find a clear explanation at the end of that road.